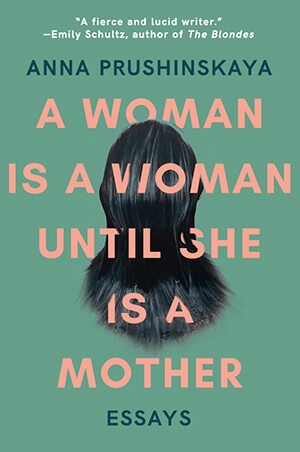 If you’ve got a long commute, travel plans or just love listening to audiobooks, then we’ve got great news: A Woman is a Woman Until She is a Mother is now available as an audiobook! The recording is just under two hours, produced by Blunder Woman Productions. It’s available now on Audible! In A Woman Is a Woman Until She Is a Mother, Anna Prushinskaya explores the deep life shifts of pregnancy, birth and motherhood in the United States, a world away from the author’s Soviet homeland. Drawing from inspirations as various as midwife Ina May Gaskin, writer and activist Alice Walker, filmmaker Sophia Kruz and frontierswoman Caroline Henderson, Prushinskaya captures the inherent togetherness of motherhood alongside its accompanying estrangement. She plumbs the deeper waters of compassion, memory and identity, as well as the humorous streams of motherhood as they run up against the daily realities of work and the ever-present eye of social media. How will I return to my life? Prushinskaya asks, and answers by returning us to our own ordinary, extraordinary lives a little softer, a little wiser, and a little less certain of unascertainable things.